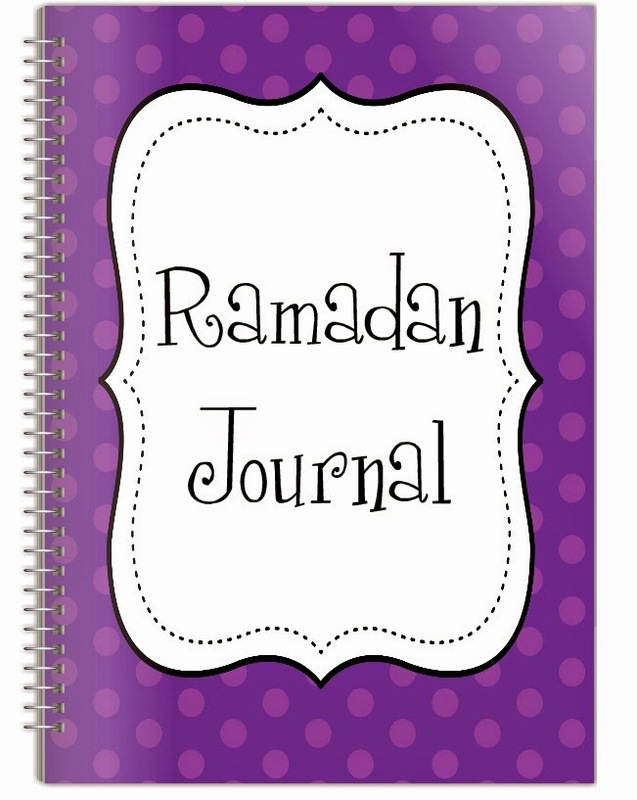 a muslim homeschool: Kids Ramadan Journal download! With 5 different colour covers to choose from you can be sure there is something for everyone's taste bi'ithnillah! 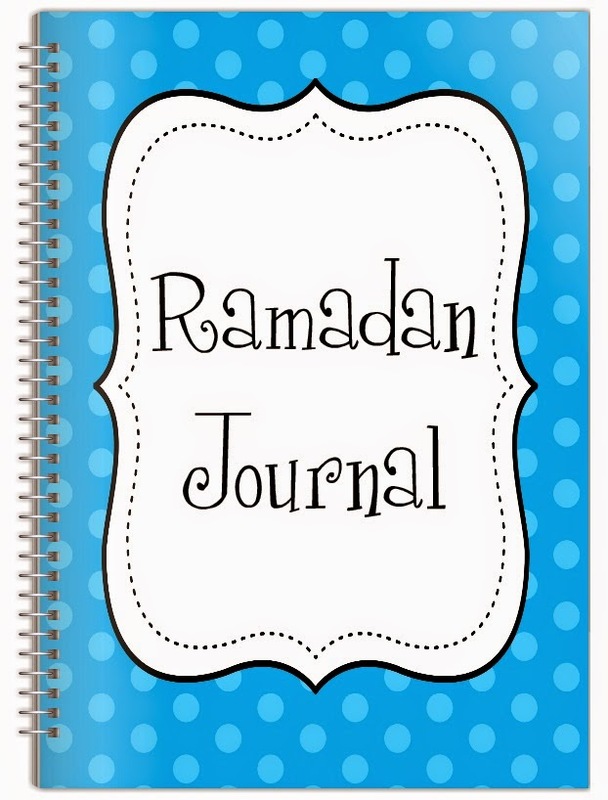 The journal allows your child to be able to monitor their progress throughout the month inshaAllah, with ribbon bunting to colour for each salaah completed, a star to track their fasting success (whether a part fast or a complete fast! 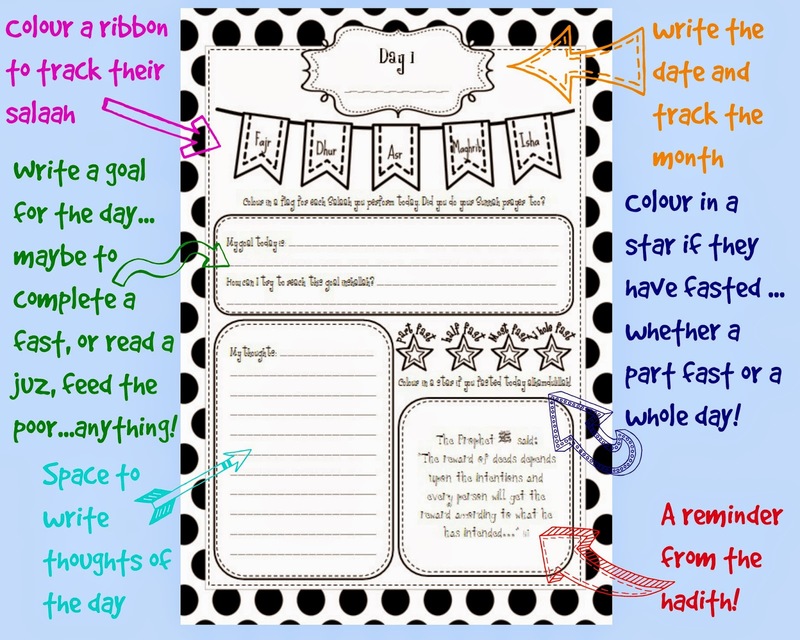 ), space to write their goal for the day and journal their own personal thoughts! Each day a new reminder from the hadeeth is presented, fully referenced at the back of the journal! 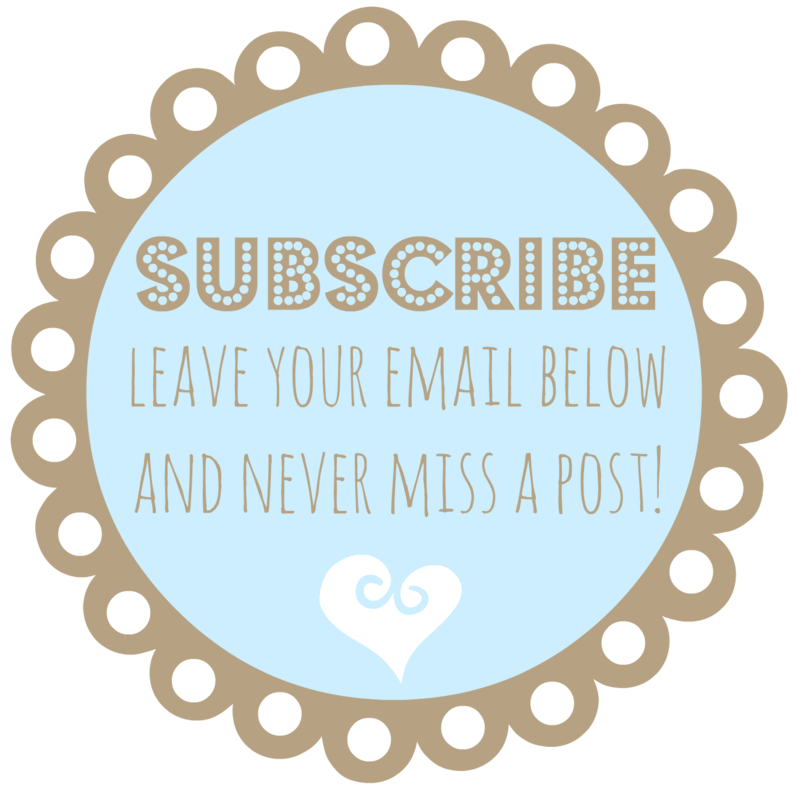 If you'd like to get new content delivered straight to your inbox and not have to worry about missing a blog post, please subscribe to the blog by leaving your email address inshaAllah! ...don't worry, you can unsubscribe at any time and I will never give your details out to any third parties! Jazakallah khaira sister. I love how you incorporated keeping track of salaah and how long they fast. May Allah reward and bless you and your family. Ameen. Wa'iyyaki may Allah also reward and bless you and your family, barakAllahu feeki! Alhamdulillah! All good is certainly from Allah! JazakAllahu khayr for your feedback! Assalamu alaykum wa rahmatullahi wabarkatu Dear Sister, TabarkAllah this is super!!!! Jazak Allahu Khayran for posting this up and providing such fabulous resources. May Allah swt accept it from you and reward you with the best in this life and the next, ameen! Wa'alaikum asalaam wa rahmatullahi wa barakatu ukhtee! wa'iyyaki, may Allah give you the best in this life and the next barakAllahu feeki! Alhamdulillah all Praise and Thanks is certainly to Allah! 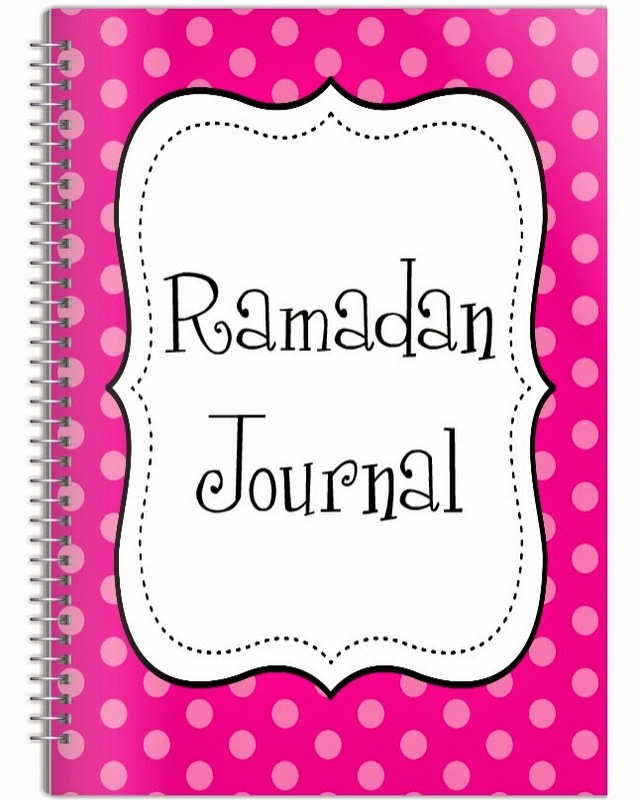 JazakAllah Khair for both the adult and child journals. I was very inspired by your post and download. 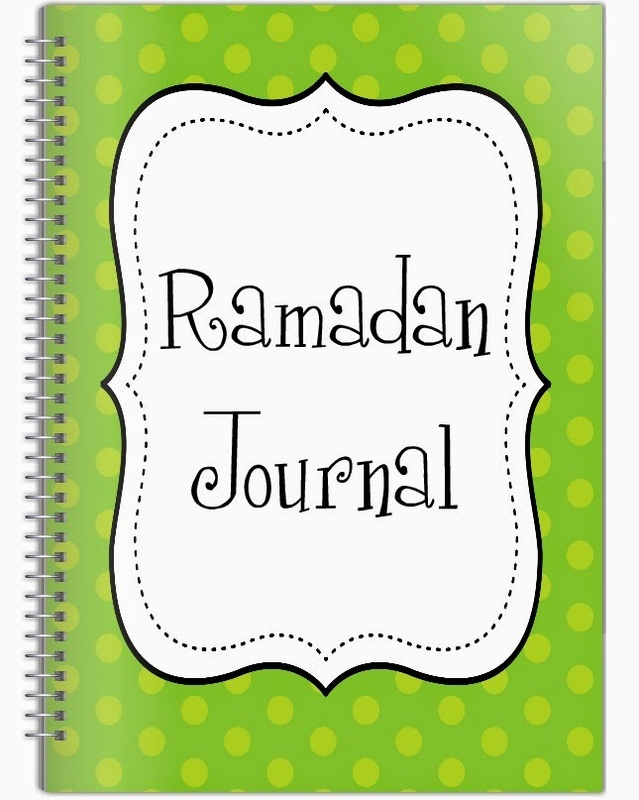 But being in a non-English speaking based country, I decided to make a similar journal like yours but modified it to be used by younger children (my son is 5yo) and it's in our mother language. But I credited you in my journal (put a link to your blog as well) and inserted a link to this post on my blog so that others will know where I got my inspiration from and that they can also download yours too if they wish. I hope you don't mind. JazakAllahu khayr ukhtee, may Allah reward you for your efforts and sharing! Salaman-Alaykum, This is very good and beneficial masAllah. It will help kids to love Ramadan and you will be rewarded by Allah insAllah. I have just one questions. I and my wife want to send this to our nephews and nieces, but they do not know English very well, so we need to make it in our native language. 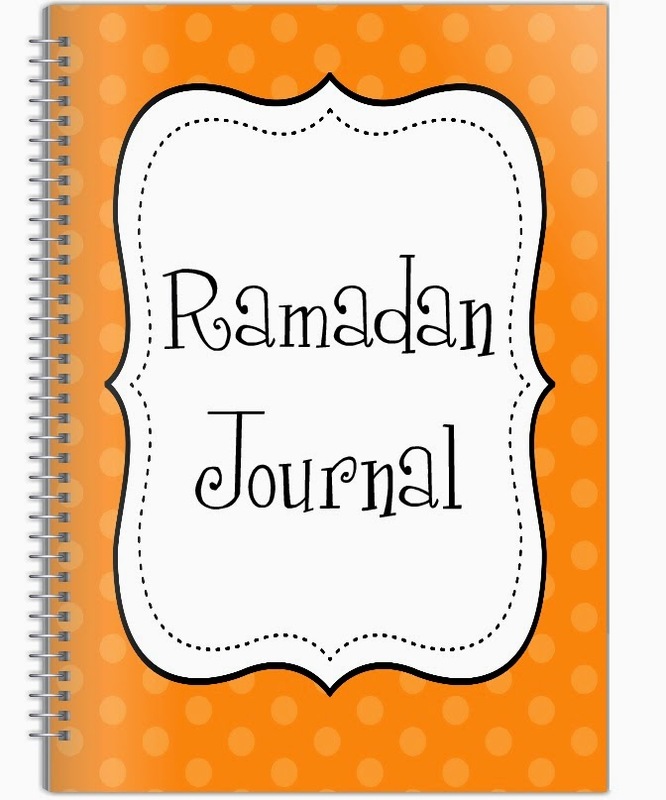 Is there any possibility for us to find a 'word' page format of Ramadan journal? Jazakallahu Khairan. Jazakkalahu Khairan. I have just sent an email. Dear Ukhty Fiddeen, we are some small institution from Indonesia that begining up in this Ramadan Bi idznillahi ta'ala. Your all article very meaningful for us, we just thinking for change to Indonesian language, so our child more know about your products. Beautiful! Thank you for offering this resource for all to use. I will be printing out journals for all three of my daughters. Hope this will be helpful for my kids..
assalaamu alaikum wa rahmatuallahi wa barakaatuhu sis!! jazakiAllahu khairan for sharing! sooo cute mashaAllah! barakAllahu feeki. Really nice document ma shaa Allah! May Allah bless you and your family. Absolutely beautiful useful needed and APPRECIATED! May Allah reward your efforts and make you successful in your endeavors to help all of our children, Ameen. Assalamu'alaikum Sister.. Masya Allah..May Allah reward and bless you and your family. My Daughters will love it.. Jazakillah khair.. 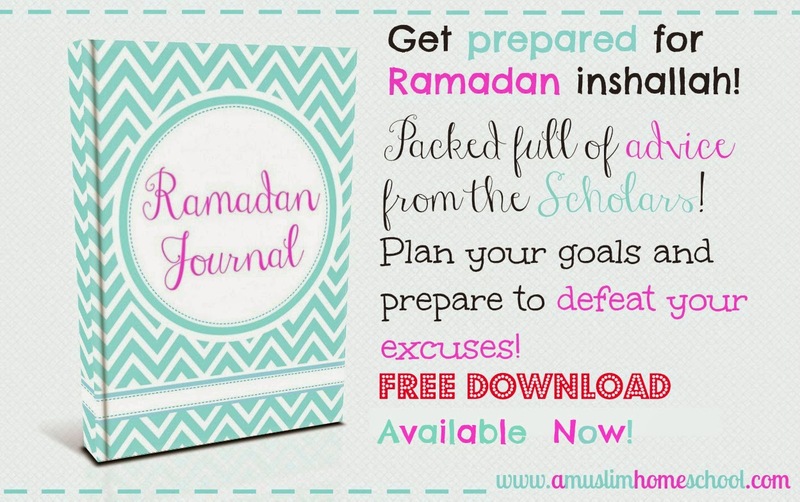 This is going to help my little sister this Ramadan and thank you very much!!!! The book has only 11 pages? wondering how to get full book. The download link is beneath each colour cover. I really love the design. I would like to print it via a printing company, but since it has your copyright on it, they would like written permission** from you as the creator to proceed with the order. Would you be able to send me an email (nurul.ii@hotmail.com) I would be very grateful. jazaakillaah Khayra Sister, maa Syaa Allah its so benefit for us. jazakillaah Khayraa my sister. i love thhis designed maa Syaa Allaah! JazakAllahu khayr for your support!